Follow along as I travel to Chaco Canyon in northwestern New Mexico, do a little cycling, and then explore some of the largest, most mysterious pueblo structures in all of North America. If you think Machu Picchu in Peru is impressive, you’ll really be blown away by the size of Pueblo Bonito in New Mexico’s remote Chaco Canyon. 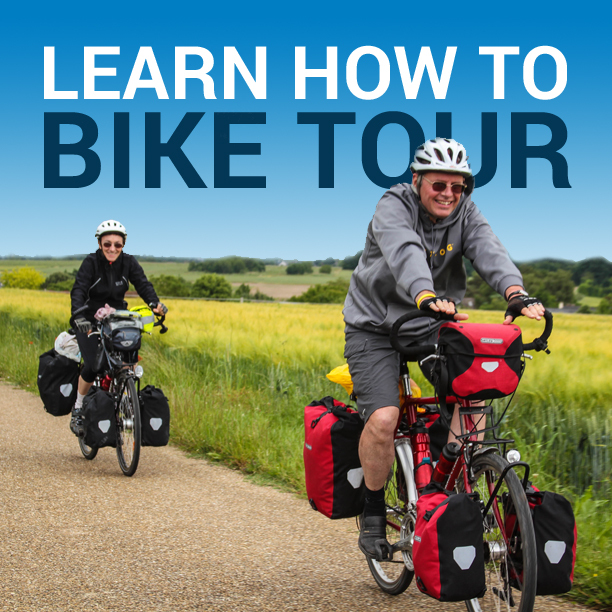 One of the best ways to see Chaco Canyon is on a bicycle! To enjoy your stay in Chaco Canyon, expect to stay for at least one night. Chaco Culture NHP (National Historical Park) is open daily except Christmas and New Year’s days. The Park visitor center is open 8:00 am to 5:00 pm and the Park is open sunrise to sunset year-round. Entrance fee is $20 USD per vehicle. Camping is available inside the Park at the nearby Gallo Campground. Nightly fees for camping are $15.00 USD per campsite. The campground is within walking distance of the Gallo Cliff Dwelling, which is one of the smallest stone structures you can expect to see in Chaco Canyon. From the campground there is a 9-mile loop across the Park… and it’s this paved route on Canyon Loop Drivewhere most of the cycling within in the Park is allowed. The road is nearly level and open from sunrise to sunset. Bike racks are located at the Visitor Center and the parking areas at the Chacoan sites: Hungo Pavi, Pueblo Bonito and Cheto Ketl, Pueblo del Arroye, and Casa Rinconada. Please note that the loop route around Chaco Canyon is one-way only, so be sure to cycle in the correct direction and be alert for vehicles that are both passing and stopping to take in the sights. 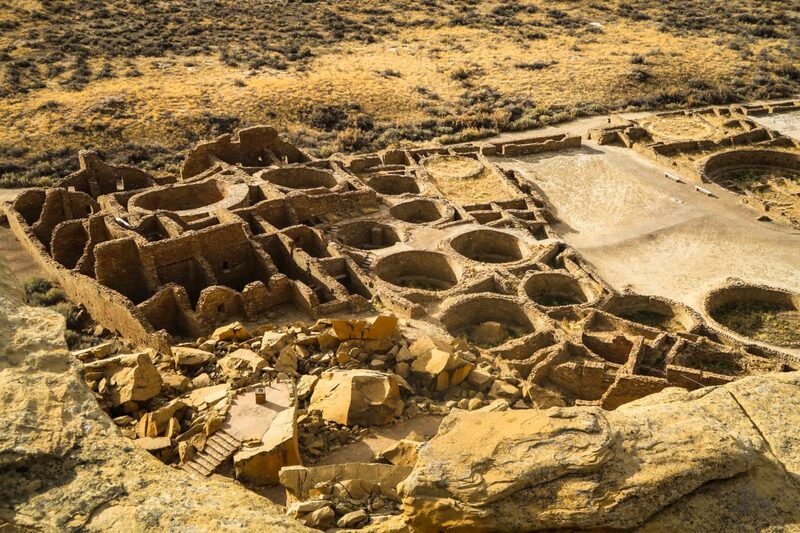 While you’re in Chaco Canyon, consider cycling the short jaunt out to the nearby Wijiji archaeological site on the eastern side of Chaco Canyon. It’s a 2-mile bike ride from the Callo Campground to the Wijiji pueblo along a dirt road. A mountain bike or something similar is recommended. This is not a path you’ll be able to cycle on a road bike. After exploring the Wijiji area for a while, turn around and cycle the 2 miles back into the Park the same way you entered. While there are few roads or paths you are allowed to cycle within Chaco Canyon itself, those wishing for a longer bike ride are welcome to cycle on the roads leading in and out of the Park. If you’re coming to Chaco Canyon from the north, cycle down the dirt road CR7900 and then turn right onto CR7950 which leads all the way into Chaco Canyon. Or if you’re coming from the south, turn off of highway 371 and make your way to Chaco Canyon on New Mexico State Highway 57. The road is long and rough, but thee’s very little traffic and the bike riding is enjoyable so long as you’re riding a bicycle equipped with tires made for off-road riding. This entry was posted in Bicycle Touring Pro Articles, Darren Alff's Bike Tour Blog, Featured Articles, Featured How-To Articles, Main Articles, Main Featured Articles, New Mexico, Uncategorized, Videos and tagged ancient culture, bicycling, bike map, chacho canyon bike map, chaco canyon, chaco canyon campground, chaco canyon national historic park, chaco canyon national park, Chaco Culture NHP, cycling, cycling chacho canyon, gallo campground, Gallo Cliff Dwelling, machu picchu, national historic park, new mexico, north america, pueblo, pueblo bonito. I visited this place last summer with my girlfriend. Very impressive. While I was there I thought about what it would be like to cycle here and explore. Pretty remote. You’ll need a good on road/ off road bike. I probably will ride my bike there and camp in the campground for a few nights and explore the area again. When I was there last summer the night time lows got into the 20’s. (July). Pretty cold at night, but hot in the daytime. Well worth the trip.